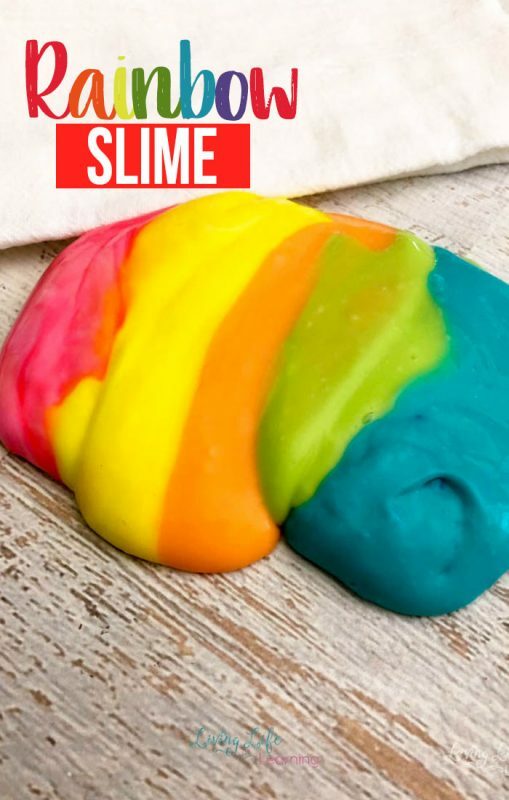 I don’t know what it is about slime that kids just love- the slippery feel or the oozing mess it makes. it’s probably a little bit of both of those things. 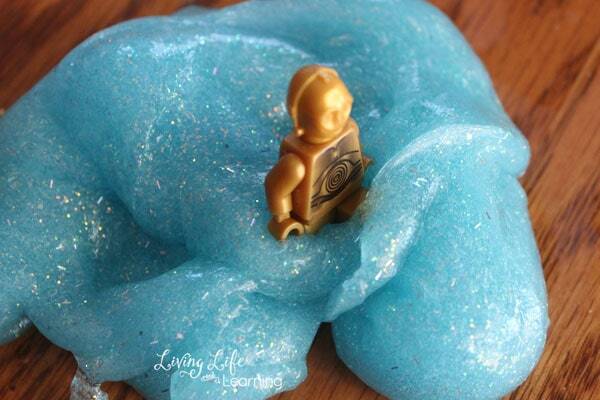 It is a very popular choice around here when we are looking for a sensory activity. 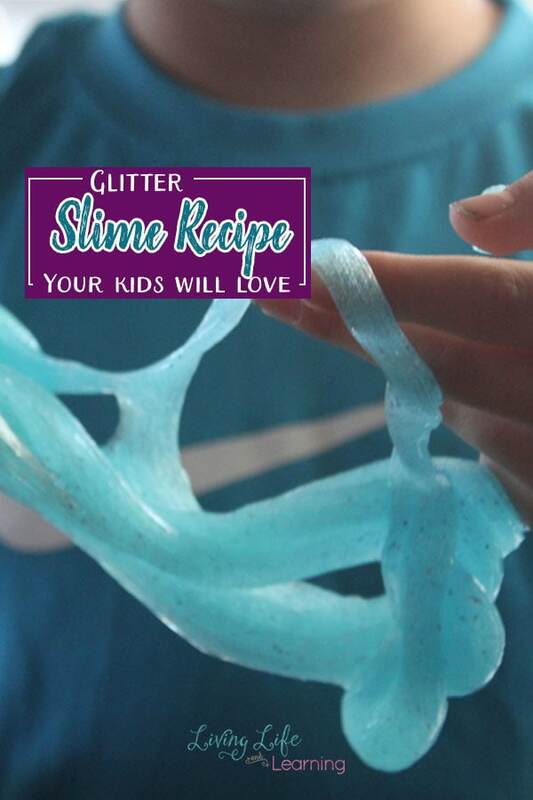 Try this glitter slime recipe your kids will love. We have purchased a lot of little cans of this stuff but when I realized how easy it is to make yourself (and in any color you want!) we started making our own. This time we added some essential oils to get another sensory aspect and used glitter glue to give it a little sparkle! 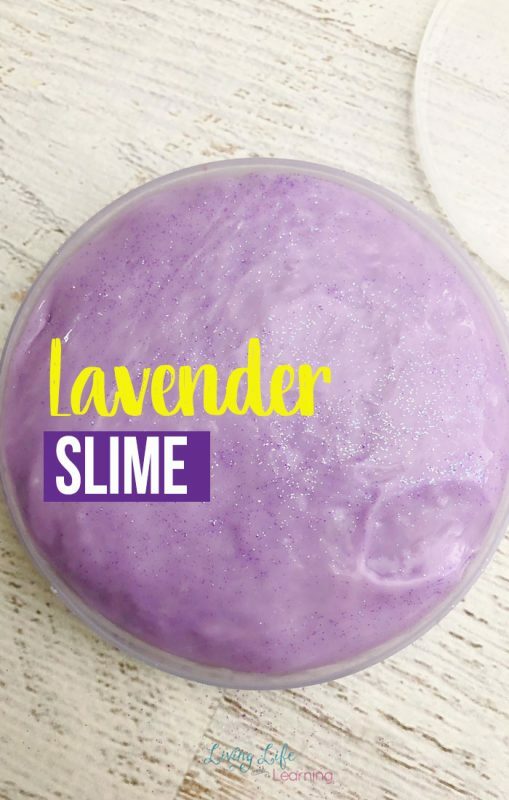 You need just three ingredients to make your own slime and your choice of essential oils, I used lavender for the calming effect. Squeeze the entire bottle of glitter glue into a bowl, add 1 T. of your warm water into the glue and mix well to combine. 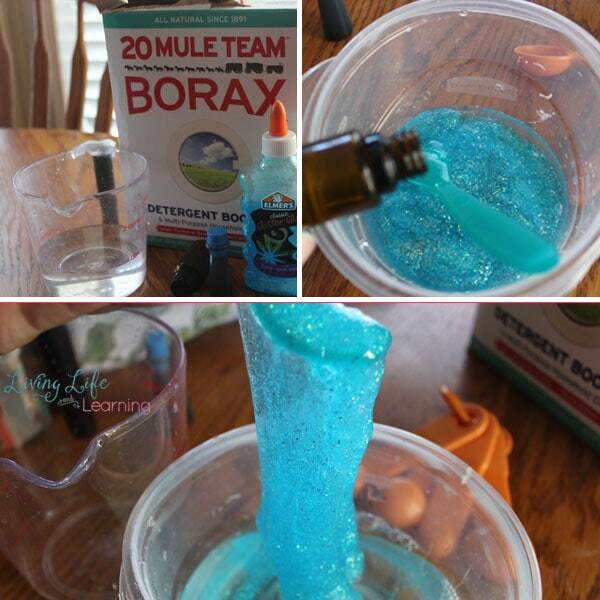 Stir borax into remaining warm water in another container until completely dissolved. Add essential oil to borax and water, stir again. Pour glue mixture into warm water and stir quickly until the glue is thick and sticks together in a large clump. Pour off all the water. Knead glue mixture until the stickiness is gone and the slime is smooth. To store: Place in a bag or container with a lid and store in the refrigerator. 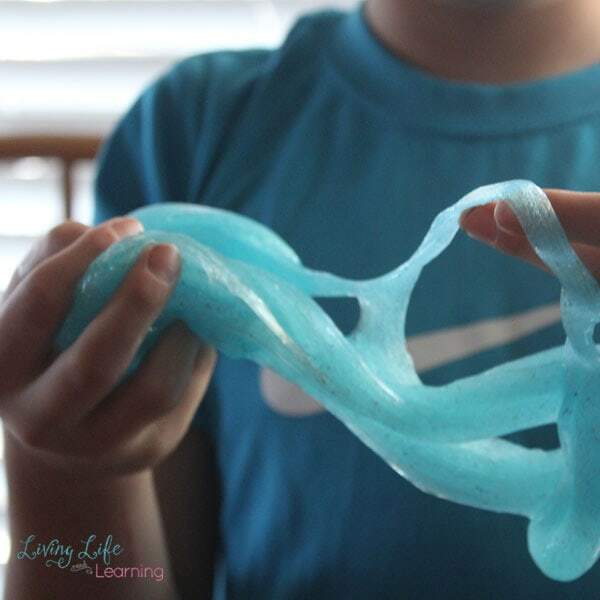 My son loves the sensation of the slime so once we started making it, he’s requested to do so often. I love it when things are a big hit and involve science. This looks incredible! My little child will love this and it looks super simple! I can hardly wait to attempt it!